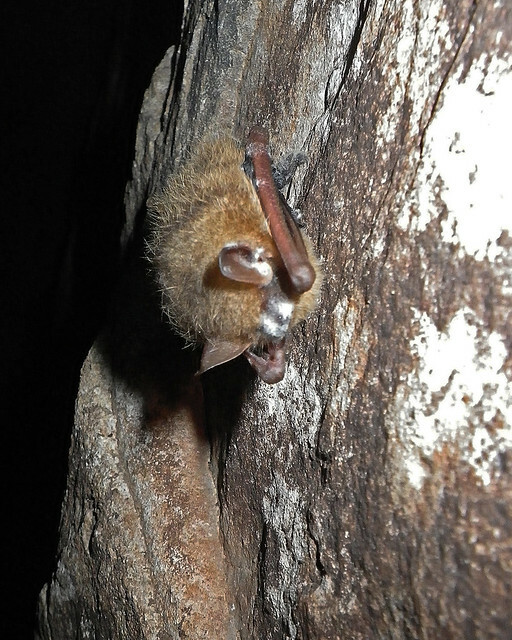 TVA has announced that Geomyces destructans (Gd), the fungus that causes White-nose syndrome (WNS), was found on swabs from gray and tricolored bats in Collier Cave in Lauderdale County, Alabama. Below is their recent announcement. 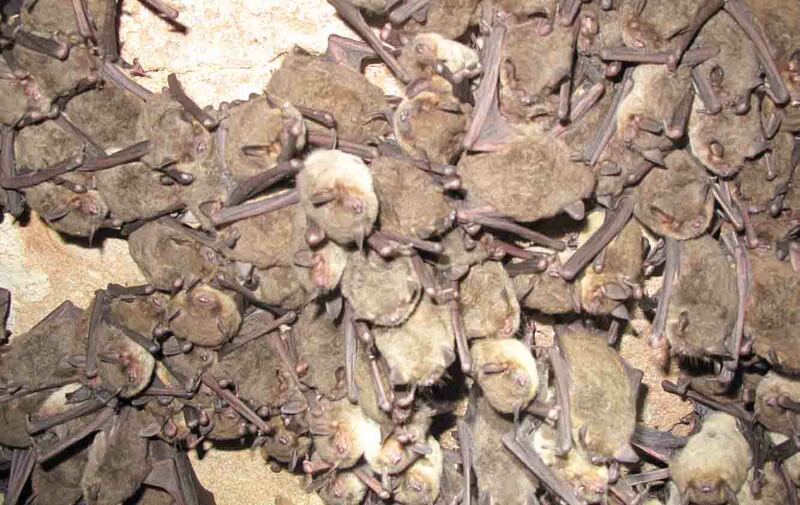 KNOXVILLE, Tenn. ― The fast-spreading fungus that causes the deadly white- nose syndrome in bats has been found in Collier Cave in northwestern Alabama on property managed by the Tennessee Valley Authority. TVA has been working since 2009 with the U.S. 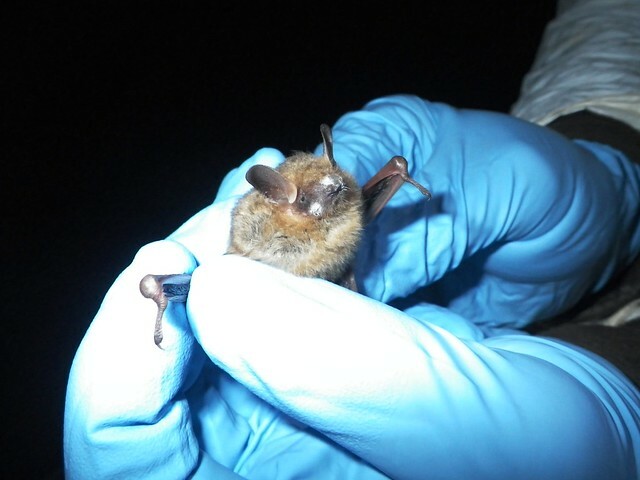 Fish and Wildlife Service and statewide teams to develop white-nose syndrome response plans for Tennessee and Alabama, and to collaboratively address the disease across the Southeast. As part of that effort, TVA has closed public access to all caves, sinkholes, tunnels and mines on TVA-managed lands due to concerns that human contact may spread the disease from cave to cave. Since its discovery in 2006 in New York State, white-nose syndrome has been confirmed in 22 states as far west as Missouri and Illinois, and most recently in South Carolina and Georgia, and blamed for the deaths of more than 6 million bats. Alabama’s first confirmed case was in the winter of 2011-2012, the same season the first infected TVA cave was discovered at Norris Dam Cave near Knoxville. The number of infected caves in Tennessee has more than doubled since a dozen caves were identified a year ago. “It is likely that future monitoring efforts will reveal further spread of white-nose syndrome in the Tennessee Valley,” Burton said. Swab samples taken by TVA biologists in 2012 of two bats in Collier Cave tested positive for the fungus after they were re-checked in March 2013 using more sensitive techniques. One bat was a federally endangered gray bat; the other was a tri-colored bat. Neither showed visible signs of the disease, there was no visible mortality at the site, and census numbers were similar to previous years. For more information, see the national white-nose syndrome website at http://whitenosesyndrome.org/ or contact the TVA Environmental Information Center at http://www.tva.gov/environment/eic/ or call 800-822-5263. 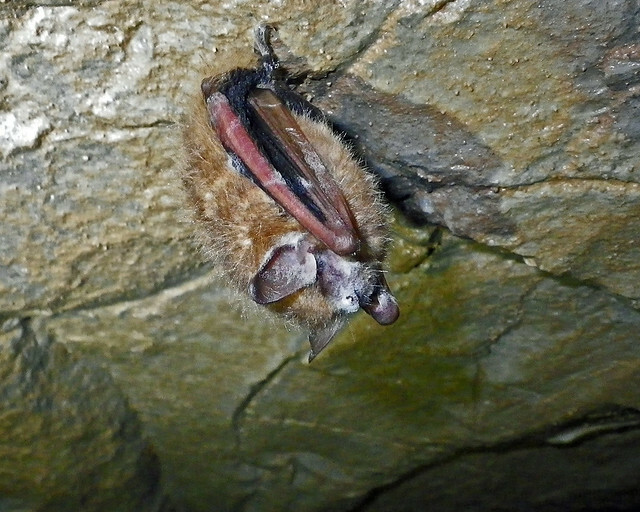 Note that this does not confirm the presence of WNS in bats in Collier Cave. Only the skin invasion by Gd can confirm the presence of WNS. However, this information does make these species of bats “Suspect” for WNS in this cave. No WNS Found in Alabama in 2011! 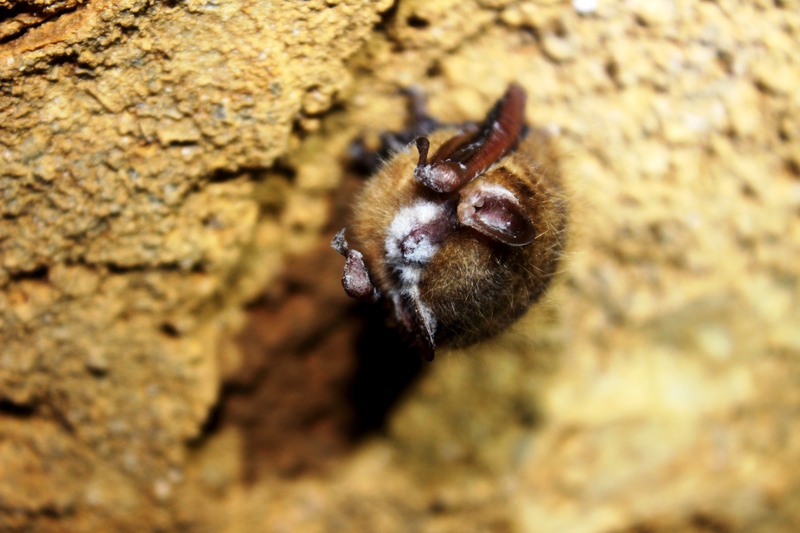 Over the winter, dozens of biologists and cavers searched over 30 Alabama caves for signs of White Nose Syndrome, an illness that has killed over a million bats in the eastern US. Dozens of us quietly crept into caves where colonies of bats hibernate to take a peek at their noses. We were looking for the tell-tale white fuzz on the noses of bats, or even a white fuzz on other parts of their bodies. We also kept an eye out for bats that were flying around in the middle of the winter, or large numbers of dead bats near cave entrances. Cave explorers also helped with the effort by keeping an eye out for WNS symptoms while visiting some of the state’s 4,000 caves. There are newly confirmed cases of WNS this year in North Carolina, Tennessee, and Indiana, but luckily WNS did not move as far south during the winter of 2010 and 2011 as many biologists expected. Please continue to help us keep an eye out for anything suspicious with bat colonies in your area. 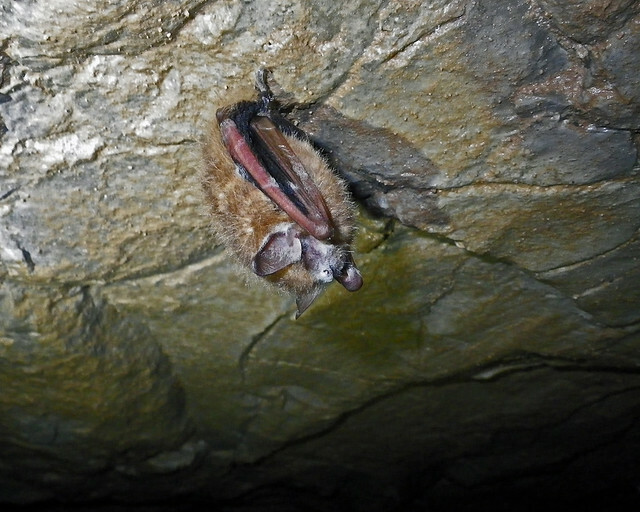 Over the summer, if you notice that the numbers of bats coming out of caves is greatly reduced, let us know! But for now, we can all breathe a sigh of relief that our bats are still healthy! You are currently browsing the archives for the WNS in Alabama Updates category.